If there’s one thing that every single trip to Maui has in common, it’s a stop at the airport. With visions of black sand beaches and hikes through the jungle dancing in your head, it’s easy to understand why baggage claim waits, car rentals, and airport navigation all seem like a chore…just things that have to get done before the real fun begins. While it probably won’t be the highlight of your trip, there’s no reason an airport visit shouldn’t be easy, stress-free, and even—dare we say it—enjoyable. 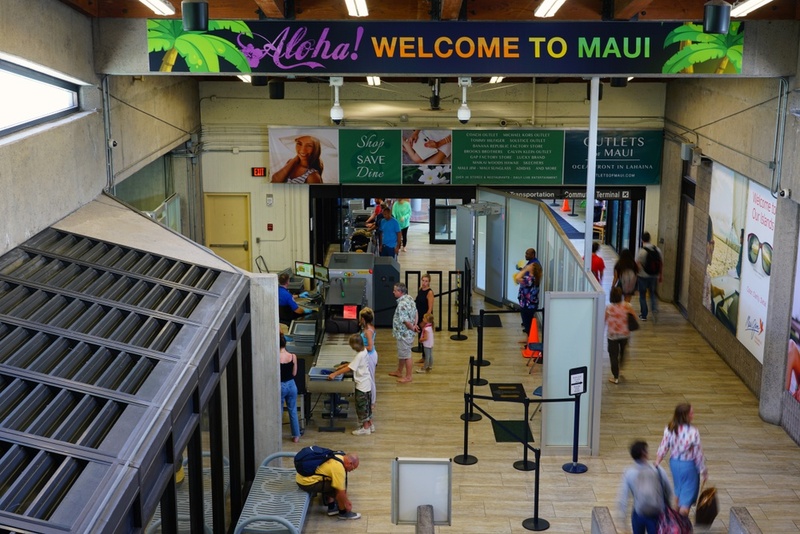 That’s why we’ve broken down everything you need to know about the Kahului Airport in this comprehensive guide featuring traveler-specific information like transportation, car rentals, restaurant guides, and terminal tips. Above all, here’s what you need to know about Kahului Airport—your first stop on the island of Maui! 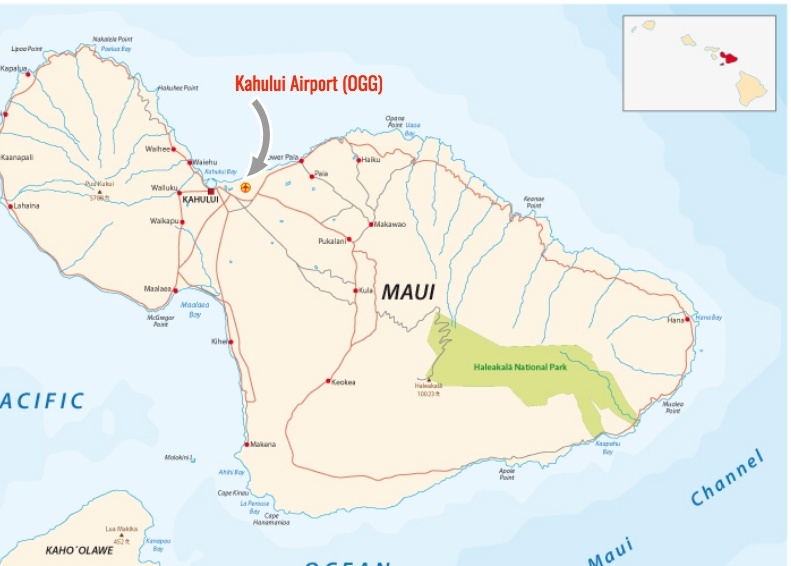 Kahului Airport (OGG) is one of three airports on the island of Maui. It's Located between Haleakala and the West Maui Mountain Range. Kahului Airport is approximately three miles east of the town of Kahului. This airport serves as the island’s primary airport. It receives both overseas and inter-island flights. The airport is divided into three terminals: the main terminal, the commuter terminal, and the bus terminal. All the gates for commercial travel are conveniently located in the main terminal on the second floor of the airport. With Gate 1 at one end and Gate 39 at the other, therefore, it’s hard to get lost! We wouldn’t necessarily categorize this airport as tech-savvy (for example, there isn’t free wifi), but the airport does offer self-service check-in kiosks. But what the airport lacks in technological innovation, it makes up in pure and simple charm. 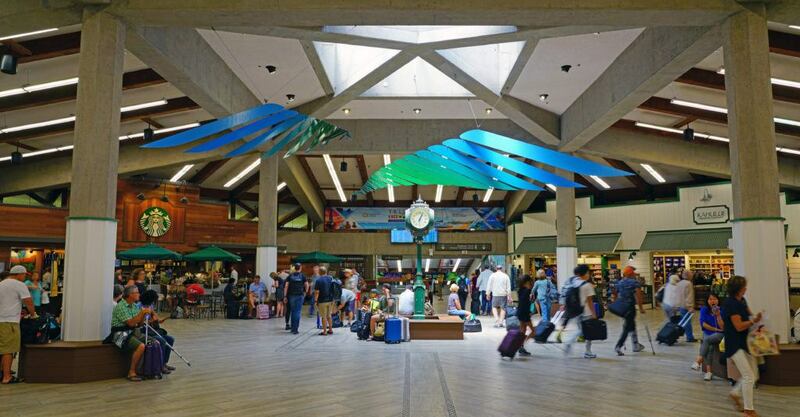 Fun fact: Kahului is the second busiest airport in Hawaii and also the newest in regards to terminal facilities. Car Rental - The easiest and most convenient way to travel to and from the airport (and explore the island of Maui) is through a car rental. The majority of companies are located just a short walk past the baggage claim area in a separate rental car building. The airport offers close to ten different car rentals at various price points. We’re proud to say that we offer the best combination of value and quality. 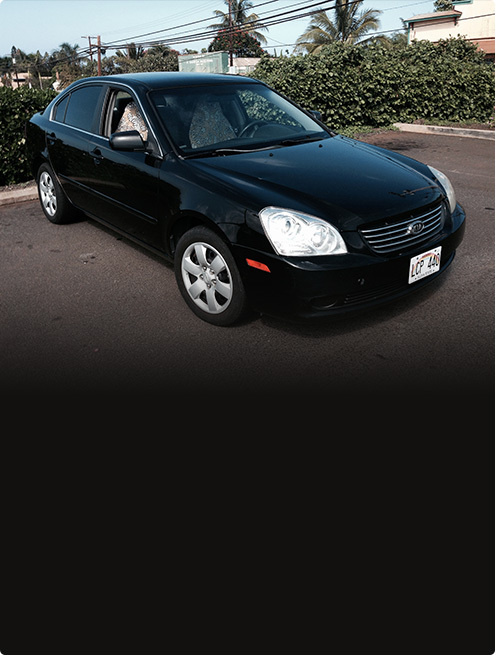 Additionally, as a convenient perk, we deliver the car to you at the Kahului Airport—any day or night. This means you can skip the hassle and longs lines associated with most rental car experiences. Why spend your vacation time waiting when you could be exploring? 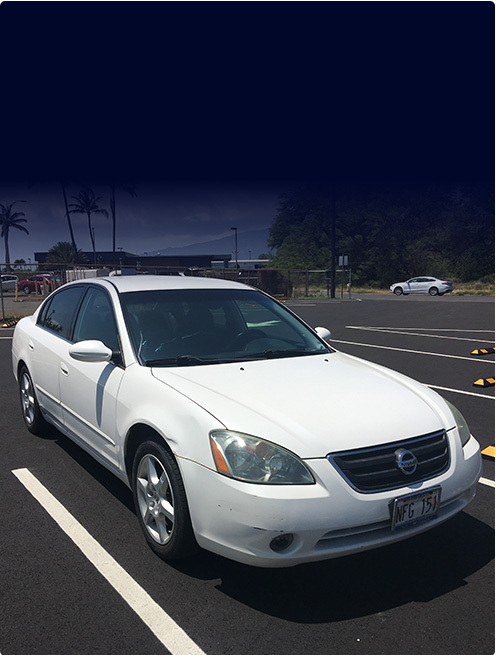 Manaloha Rent a Car will have your vehicle at the Airport parking, just across the baggage claim area. Your car will be parked at Sector I. Taxi - Airport taxis are available in front of the airport’s baggage claim. Most importantly, the metered rate is about $3.00 per mile (subject to change). For reference, a taxi trip will cost approximately $78 from Lahaina, $45 from Kihei, and $65 from Makena. Driving - If you’re driving from Lahaina: Take the Honoapiilani Highway south for 16 miles before turning right onto Kuihelani Highway way for an additional six miles. Take the roadway crossing Hana Highway for 1.5 miles to the Passenger Terminal. If you’re driving from Kihei: Take the Piilani Highway for approximately 1.5 miles before making a right on Mokulele Highway. Next, turn right at the intersection of Dairy Road. Take the roadway crossing Hana Highway for 1.5 miles to the Passenger Terminal. All terminals in the airport offer a variety of dining options including fast food, casual eateries, and bars. In the main terminal building, you’ll find well known chains such as Burger King, California Pizza Kitchen, Starbucks, and Pinkberry. Besides the well known chains, the terminal is also home to local restaurants like Stinger Ray’s Tropical Bar and Grill (perfect for a pre-flight drink) and The Old Plantation Store (offering grab-and-go lunches and snacks). With an airport this good, you won’t even mind the stop. Click here to book your car and show our best rate!